What a difference a swim makes! I had a lovely meeting this week with HC HQ team on the plans for the year ahead plus how things have gone the year past. I found myself talking about the topic ‘sewing for mindfulness’ which many of you know is a theme that is so close to my heart and indeed the subject for my impending book that is sloooowly being written! 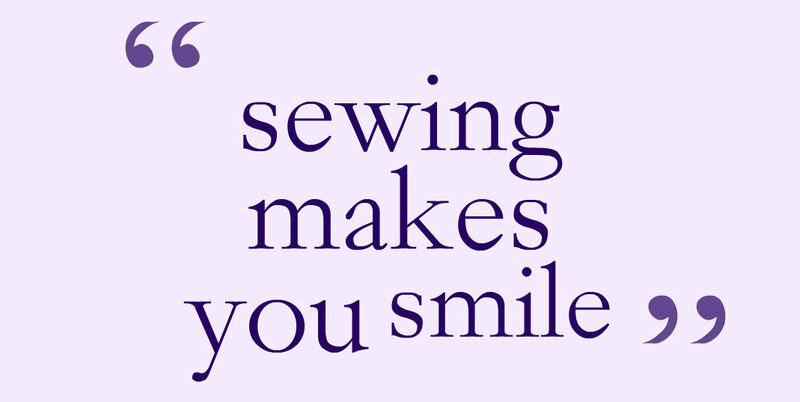 I felt myself discussing this topic (although this wasn’t what the meeting was supposed to be about) and how sewing can bring people together, chat, and in many instances even turn into a group therapy session. 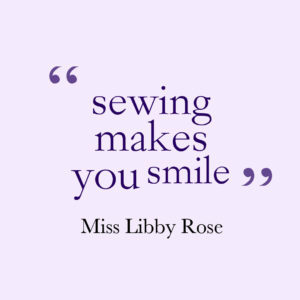 This applies to all ages from a rough day at school for an 8 yr old to a group session of quirky adults learning to sew for the first time. What I did find myself saying and thinking was no matter what I always need to be in my own mindful state before even beginning a teaching class, whatever that takes, I always work hard on my own mindful state. As I m entioned in my last post I have found the start of this year super dooper tough! The weather has been cold and everything has got off to a slow start so I decided to set myself a challenge to make myself feel better! 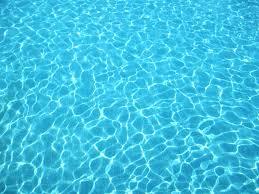 I love to swim and so I decided that every day for 4 weeks I would go for a swim, whatever it takes! That means that sometimes I am up earlier than Julia and at the gym by 630am to get in the pool so I still have enough time to do all that I need to do in a day – and actually it’s not that bad! Most mornings are freezing, I am 1 week in and to warm up I am generally doing a bit of gym as well and this is making me feel great! In turn which is another ‘feel good’ solution is my water intake has gone up as a result of the extra exercise which has given me a lot more clarity in myself and my work. After school clubs superstar of the week is determined Scarlett. I have no pics from the show yet but I have admired Scarlett working so diligently to get all the outfits created and made for her school fashion show. I know she had worked day & night over the weekend to finish these and in after school clubs on Wednesday we were all set to do hems, buttonholes and finish off! 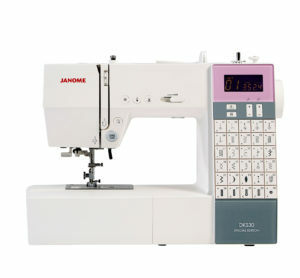 I had the gorgeous Janome DKS30 special edition all set up with it’s wonderful buttonhole function. Now.. sewing with slippery fabrics has always had a tender space in my heart. In my time as a designer / maker I would often be partial to using ‘difficult’ fabrics such as Satins, Organzas, Chinese silk, stretch, and of course layers of lovely organza.. So – when Scarlett was having trouble with the button holes on her beautiful Chinese silk dress… The button holes were slipping and getting stuck on seams and overlapping facings, this was so distressing as it was the last thing to go on the dress … And then came the AHA moment.. I used to try all sorts of solutions to help with slippery fabrics in my designer days and I remember a fool-proof one, using paper on the top and bottom of fabrics, creating the stitch and when all held in place, tear the paper away – so at the final part of the class we set the paper up and Scarlett was able to wizz through the button holes without a worry of slipping or the machine getting stuck..
BIlly the Blue (My VW Beetle) passing his MOT with little fuss making life easier for another year! Making apple and ginger cake that was delicious and enjoyed by all! Song of the week is not so much a song but rather a scene with music. In this final scene from the film Billy Elliot it shows this final transformation, a beautiful swan in Matthew Bourne’s Swan Lake.. I get a shiver down my back every time I see this and it’s a wonderful reminder that indeed anything is possible when you put your mind to it, trust your instinct and GO FOR IT!, or go watch the whole film to inspire you! 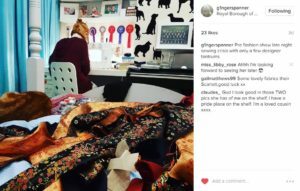 Next post: Sewing away to the big 4-0!